If Office 2003 can do it, you can do it too... Office 2003 now has everything you need to conduct business, and everything you need to know about Word, Excel, Outlook(R), PowerPoint(R), Access, and FrontPage(R) is right in these pages. From the basics like opening and saving documents to the complexities of sharing data with XML, you'll find reliable, step-by-step information. It's a manual for each application and a guide to the integrated suite, all in one convenient volume. Inside, you'll find complete coverage of Office 2003 Tame Office 2003's unique interface features, including task panes and personalized menus Enhance Word documents with tables, graphics, styles, and templates, and collaborate with other users Develop useful Excel spreadsheets with charts, formulas, and functions Navigate Outlook's new mail view, reading pane, and navigation pane and make the layout serve your information-management needs Block worms, viruses, and spam with Outlook's improved security Create PowerPoint presentations with graphics and data from Word and Excel Manage your data with Access wizards, AutoForm, and reports Discover enhanced Web design tools, get more control over your code, and generate cleaner HTML with FrontPage Bonus CD-ROM and companion Web site! 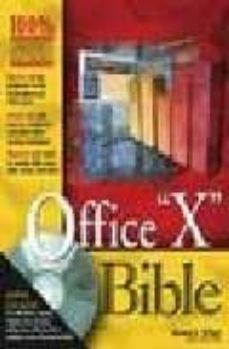 Exclusive Office 2003 Super Bible eBook, with more than 500 pages of information about how Microsoft Office components work together Bonus shareware, freeware, trial, demo, and evaluation programs that work with or enhance Microsoft Office Searchable eBook version of Microsoft Office 2003 Bible An easy-to-useinterface that allows you to browse and install everything on the CD Targets how to effectively and efficiently use data, text, and graphics from one Office application in another Office application. Features less emphasis on macros and programming and more focus on enhancements. Improved content and topical selection compared to previous editions.